ONE in five children in Ireland live in such poverty that they often lack such basics as a touch screen smart-phone or an online games console, according to a devastating report today. Frances Fitzgerald, Minister for Children and Youth Affairs, was speaking as the department launched its annual report yesterday. Ms. Fitzgerald painted a stark picture of Irish children who go through their days fiddling with button operated mobile phones while being laughed at in school by richer kids. She said that such is the scale of the problem that despite government programmes some children were even left in rooms on their own to read heavy books made from ‘paper’ as a source of’entertainment’. The minister added: “76,000 children still use old crappy Nokia’s which were probably handed down from an older brother or sister. She blamed lazy arsed parents who would not get a second or third job for the sake of their kids. Fitzgerald said: “All I hear is moaning from these people. Oh I can’t afford an I-Phone for the kids. I’m making only €350 a week after tax! “Boo fecking hoo! Get up off your backsides and get another job for Gods sake. You’re depriving your children of basic human needs. “Some of these people are so selfish it makes me sick. Its all about them and not the kids. “Get a desk job then if ya can’t walk!” she added. The Department for Minister for Children and Youth Affairs has suggested a touch screen phone allowance for all families currently receiving social welfare payments. Can You Believe It’s Been A Year Since Beyoncé Cured Cancer At Coachella? 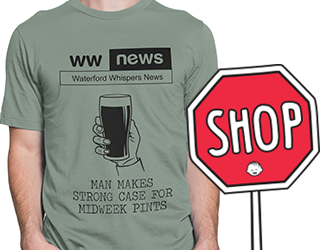 © 2019 Waterford Whispers News.